Wholesale Jewellery Packaging and Display Bags and Pouches. Elegant and simple Velvet Black luxurious look and feel Drawstring Jewellery Gift Pouch and Gift Display Packaging Bags. Velveteen Pouches in Bell shaped round design or Velvet Rectangular shape Gift Pouch Bags in various sizes to suit your jewellery product display and packaging requirements. Bulk wholesale suppliers of Self Seal Clear Bags for product and stock storage and packaging in various sizes from 60mm to larger 280mm sizes. 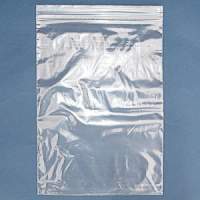 Zip Lock style and Grip Seal type Sealable Product Stock Bags (Baggies) in different useful sizes. Velveteen Gift Jewellery Pouch Bags. Black Velvet type Display Gift Bags. Dimensions Standard size approx 70mm. Excellent product for Displaying and Gift Packaging your Jewellery items. Black Velveteen Drawstring Large 100mm size Jewellery Packaging Gift Bags. Large display presentation packaging Black Round Bell shaped Gift Pouches with tapered necks. 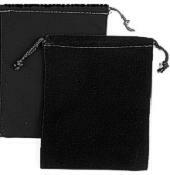 Rectangular shape Velveteen Black Jewellery Pouch with drawstring. Dimensions approx. 140mm x 100mm large size gift pouches. 65mm x 60mm SELF SEAL PLASTIC BAGS (price per. HUNDRED). Clear small Self Seal Plastic baggies. Large Square Zip Lock style resealable Self Seal Clear Plastic Bags, packed in lots of 100. Large size approx 160mm x 140mm. Extra Large Self Seal Clear Plastic Bags. Grip Seal style approx. 300mm x 200mm Large Size Self Sealing resealable Plastic stock bags. Sold in units of 100. Black fine Net Drawstring style Gift Jewellery Pouch. Size 60mm x 70mm manufactured with fine material with Black Drawstring.